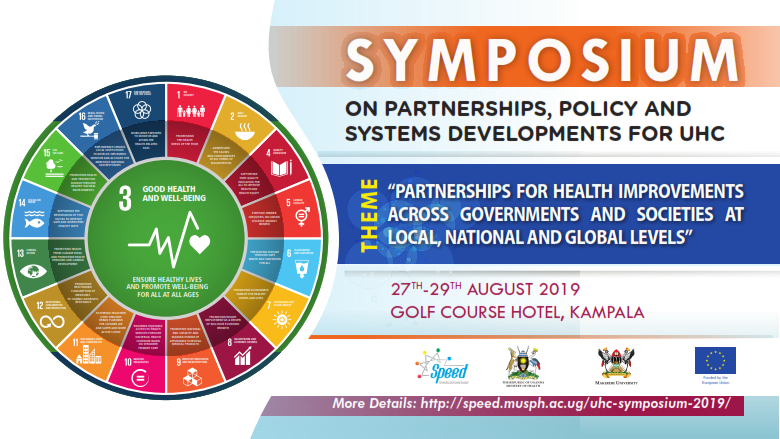 The SPEED Project, Ministry of Health, Uganda and other partners announce the call for abstracts for the Symposium on Partnerships, Policy and Systems Developments for Universal Health Coverage (UHC). Please see the call for abstracts poster for details. In September 2015, the global development community adopted 17 sustainable development goals (SDGs) with 169 indicators. SDG 3 entails ensuring good health and well-being for all at all ages but is closely linked with all other SDGs (see fig 1 below). Universal health coverage (UHC) is framed along other targets under goal 3. Goal 3 also addresses all major priorities in health and introduces a broader agenda for reducing health risks and determinants of good health and wellbeing. 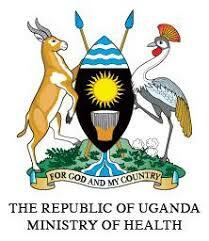 However, the current focus in most countries is on expanding healthcare services as means to improve health. It has been realized that UHC requires policy actions in a complex and increasingly multi-sectoral arena, with legitimate role-bearers ranging from sectors such as; Health, Finance, Education, Local Government, Labour, Housing, Social Development and among development partners, private sector and civil society organizations and media. This requires “whole-of-government” and “whole-of-society” approaches. More so, the need for partnerships for health systems developments to address the health needs of the country’s population while protecting the people from the financial hardships of ill health and ensuring equity in access has been emphasised as a pre-requisite towards UHC. As the global community struggles with the combined challenges of slow economic growth; the growing globalization and integration of the social, political and economic system and of diseases; and dual burden of communicable and non-communicable diseases, the need to interrogate strategies for collaborative efforts (policies, systems , and other interventions) to advance UHC and wellbeing is salient. This International Symposium will bring experiences, reflections and evidence (both local, national and international) to guide decisions and strategies at various levels for advancing partnerships for UHC in the context of SDGs. 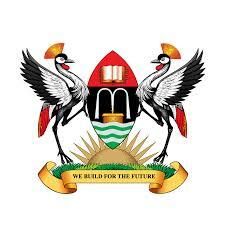 The symposium acknowledges multisectoral approaches for health improvements and these reflections will extend beyond the health sector to include other sectors that are vital to the social, economic and other determinants of health. Are you interested in submitting an abstract? Do you have interesting experiences/lessons to share or even a conceptual paper to present? We welcome abstracts for organized sessions, individual paper presentations, and multimedia presentations. Please read the guidelines before submitting your abstract.